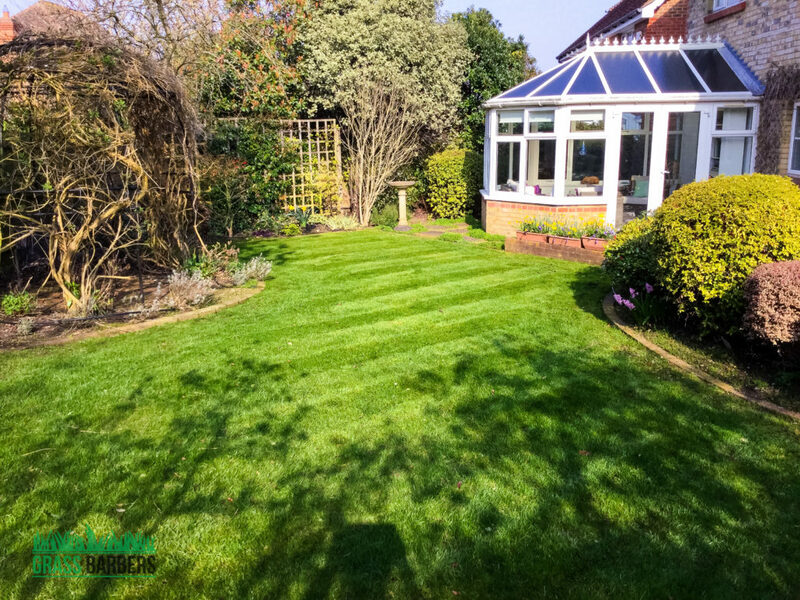 Another garden maintenance project this time completed in Epsom and Ewell KT17. 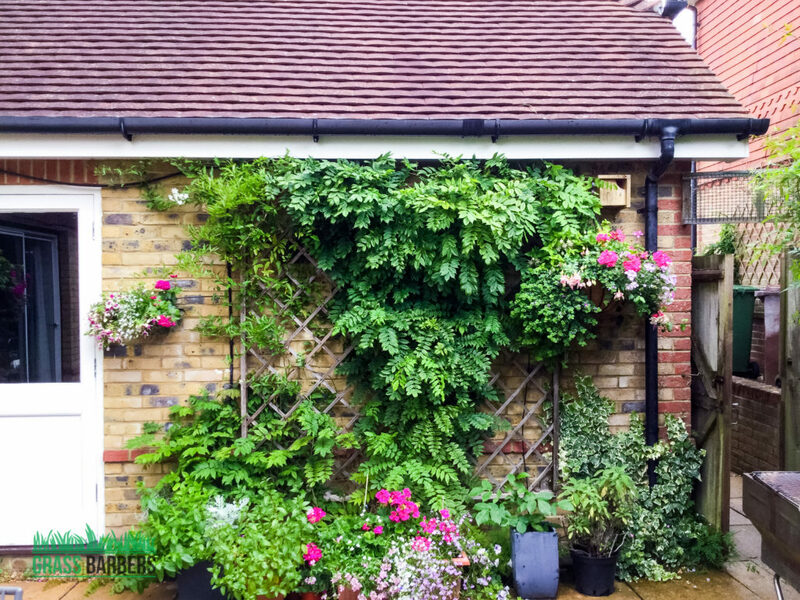 Home owners, a retired family, love travelling and do gardening as a hobby. 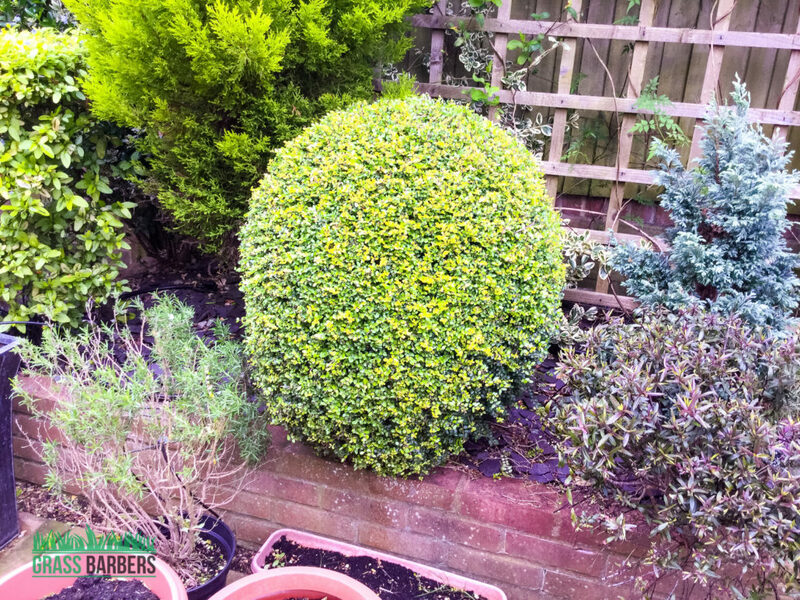 This was the reason garden was in well maintained condition and only required a quick tidy up and re-shaping. 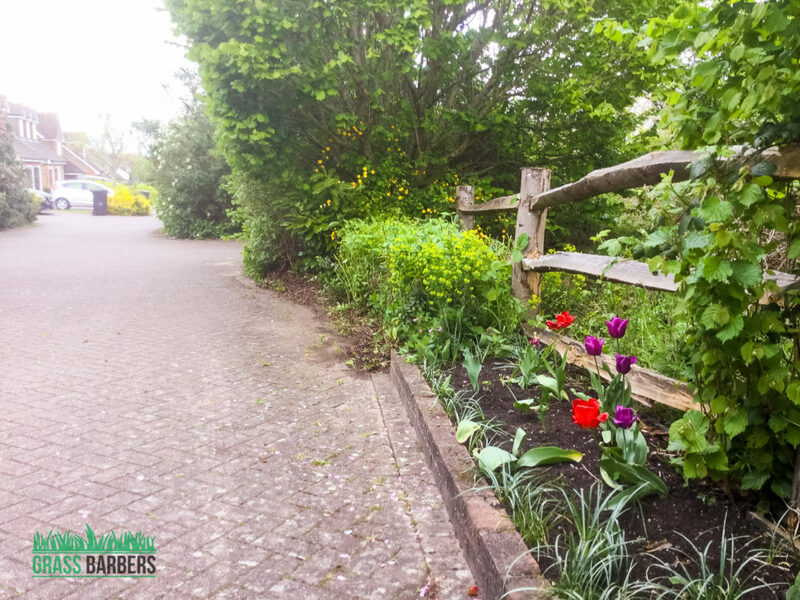 Clients created the list of gardening jobs, which they wanted our team to carry out during the visit. 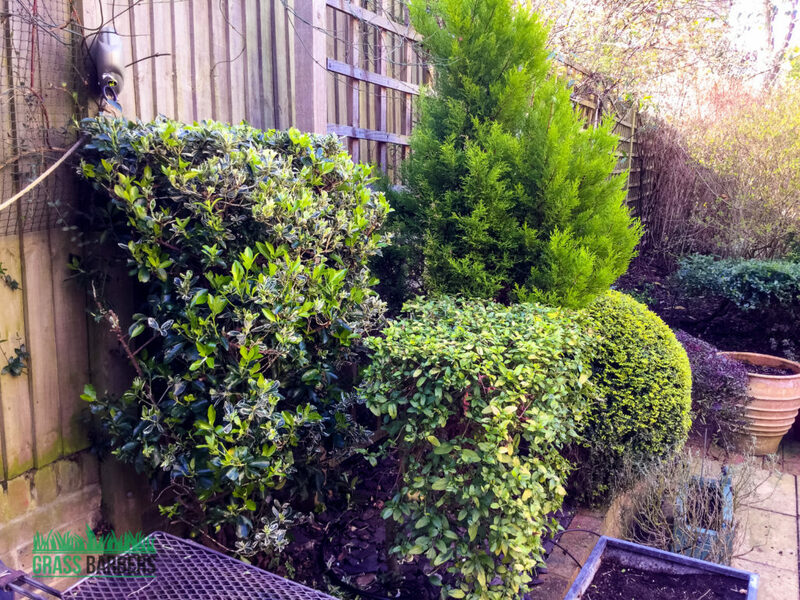 Following the list step by step, whilst implementing our procedures and knowledge, we spent all the allocated visit time and improved the garden by quite a bit. At the start of the visit we mowed the lawns and edged all the borders, some small patches appeared after the overgrown grass was cut back. 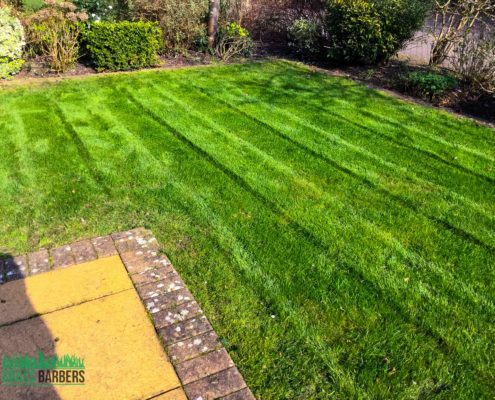 Those patches were repaired by aerating and softening compacted soil then planting new grass seeds and finally applying fertiliser and organic manure to break down the soil and help grass seeds germinate. 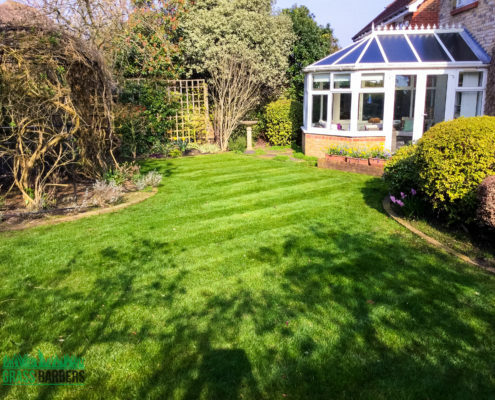 We advised garden owners that watering will be important, since young grass are very susceptible to drought. 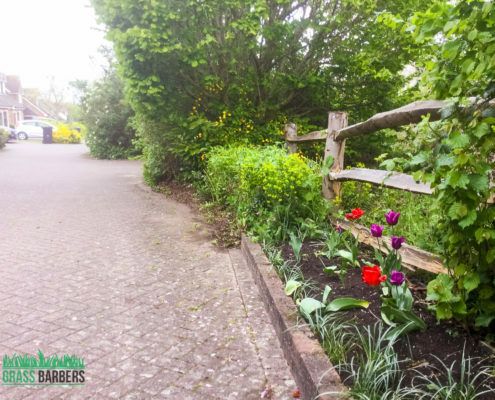 Bulb planting areas and flower beds required extremely careful and focused manual hand weeding. Due to pre-existing irrigation system we had to be extra careful not to damage it. 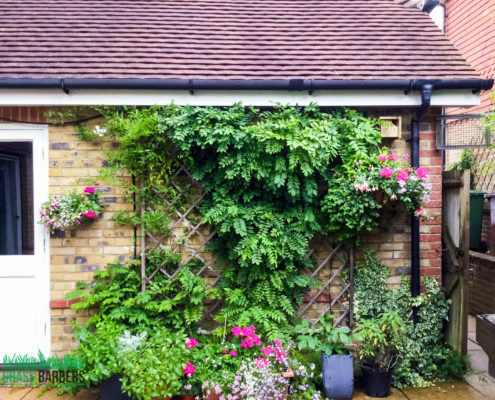 Wall climbing plants were trimmed away to keep those door and roof lines under control. 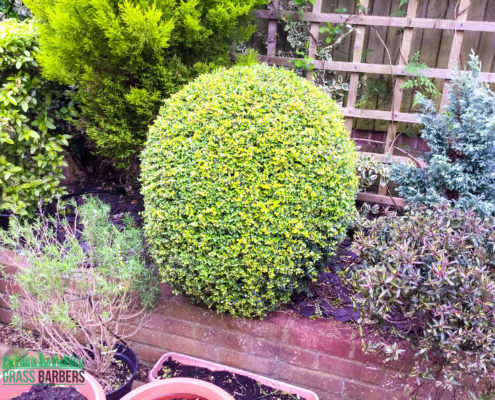 Have a similar garden project and would like us to give you a hand? 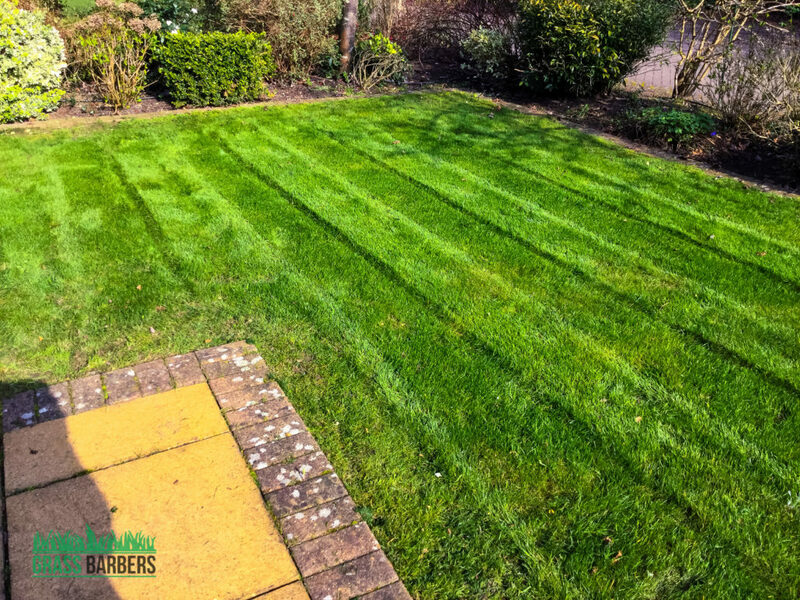 Grass Barbers is specialist landscape maintenance, horticultural and gardening maintenance company that services residential developments and estates, commercial properties and government assets throughout South London, Surrey and surrounding areas. 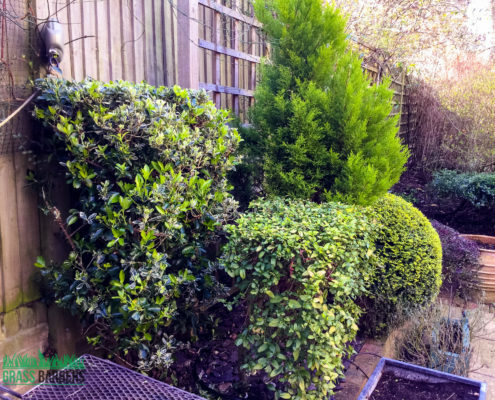 We service all areas around London and Surrey.